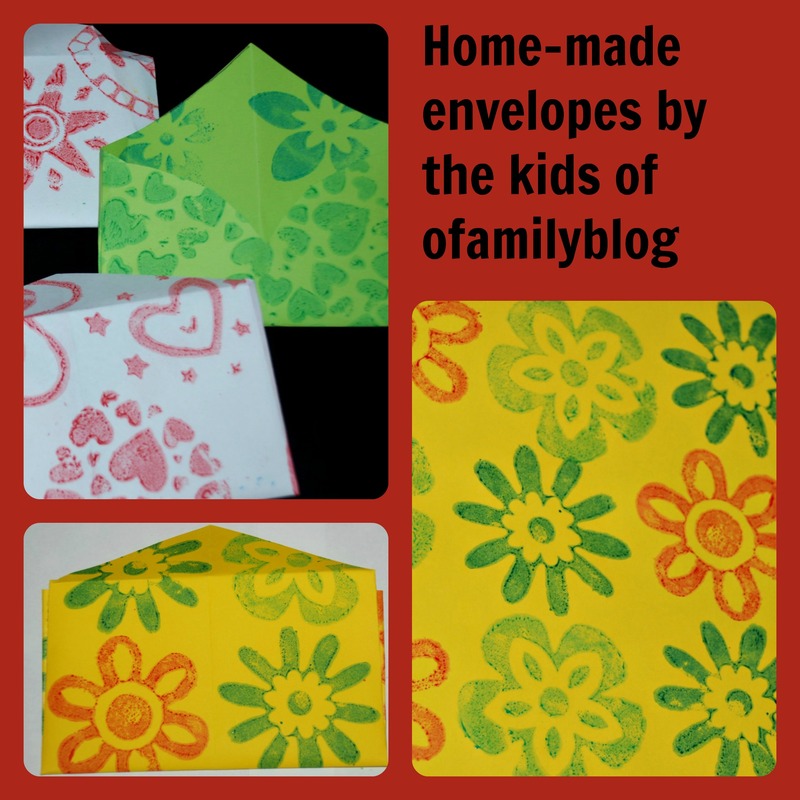 My daughter is wanting to send something special to her cousins but we have been battling to think of what she could make and then today we had a brain-wave – what if she made her very own envelopes for her letters to go inside ? I think the cousins are going to love them !! 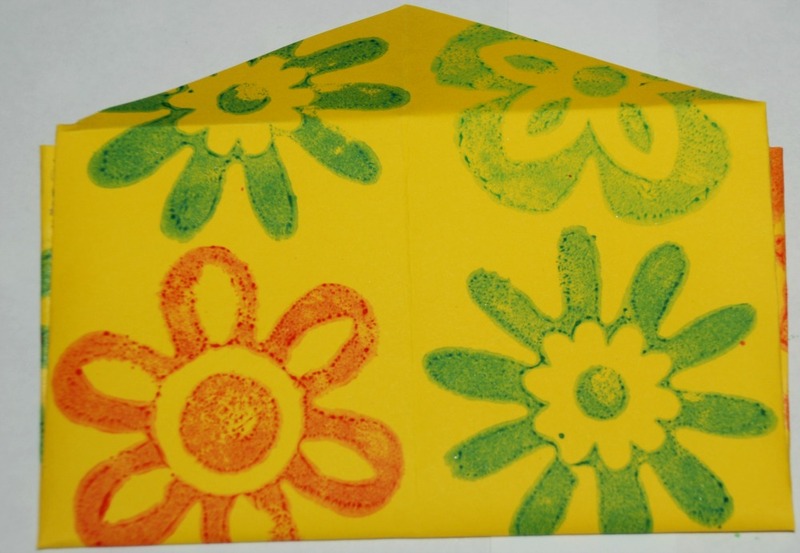 We started off by using our stamps and paint pad to create our very own patterns on some plain paper. 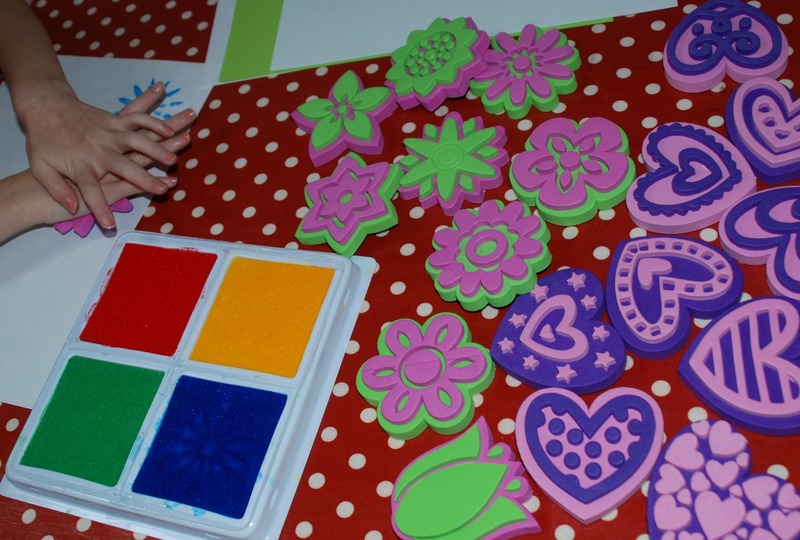 The stamps and paint pad that we used are from Baker Ross (Links here – heart stamps, flower stamps and the paint pad). 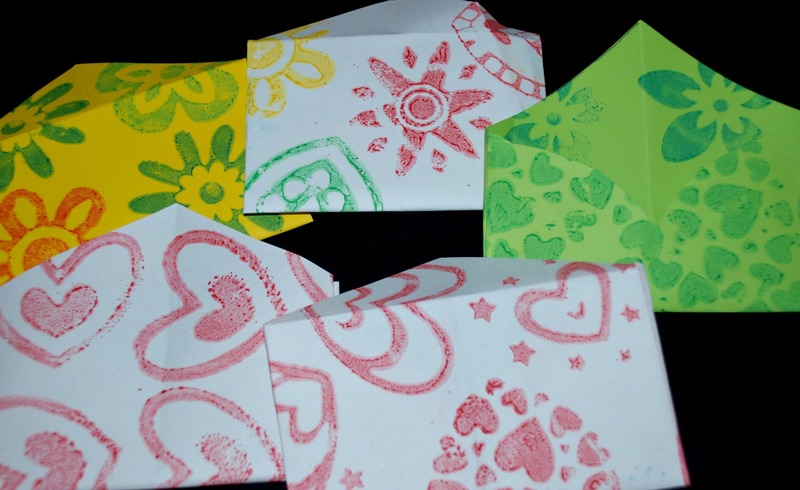 Once they had dried we tried our first envelope. 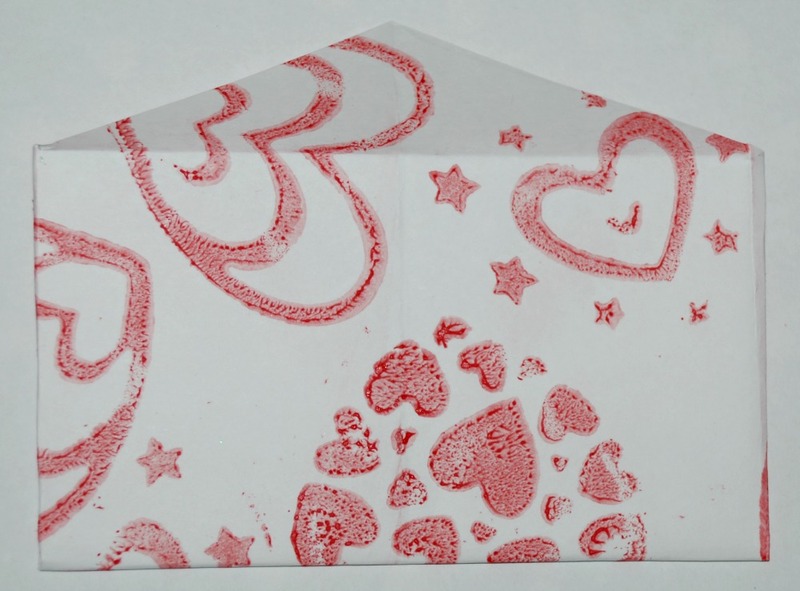 Fold the piece of paper in half and draw a heart shape on it. 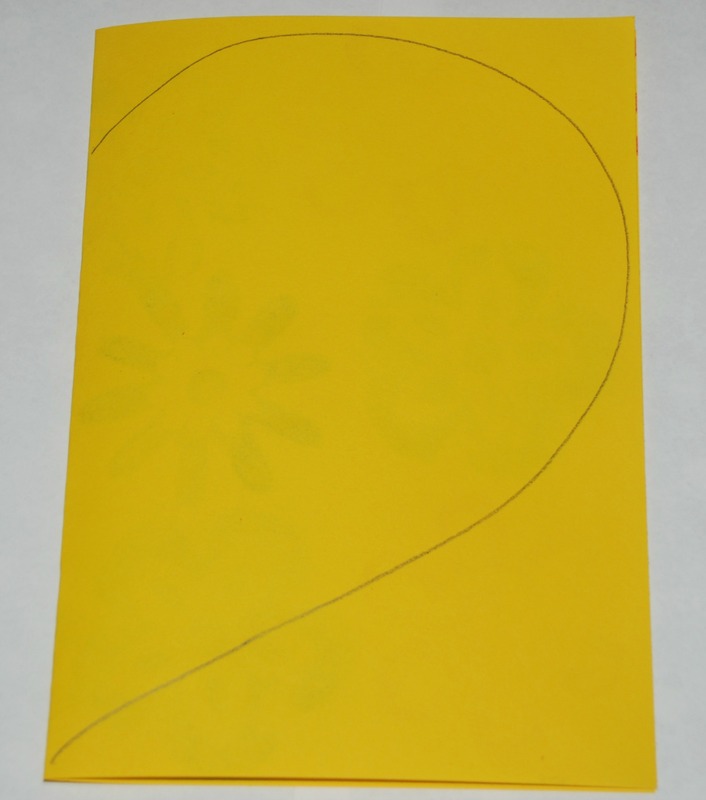 Then you cut out your heart shape and fold both sides into the middle. Then you need to fold the bottom section up and glue to the two inside fold together. 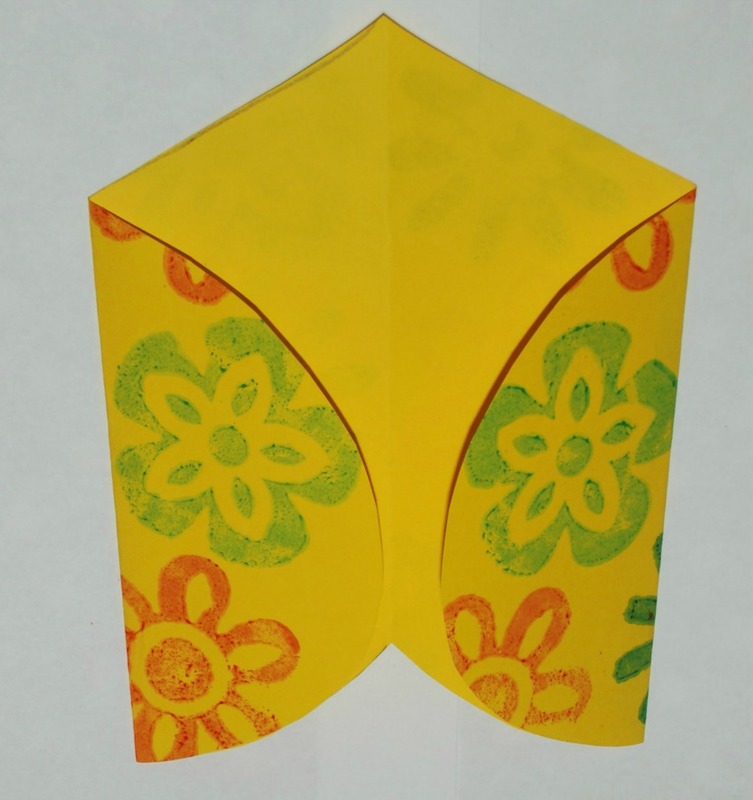 Tip – before you glue the two inside pieces together – make sure the folds have lined up. On our first attempt we did not line it up nicely (see photo below) but as we discovered it is very easy to re-fold until you get the hang of it. Once she was happy with the folding bits she really got going……………..
And we ended up with a lovely selection of hand-made envelopes. Perfect for her to use to send some little notes to her cousins in. I think that personal touch is going to be much appreciated. 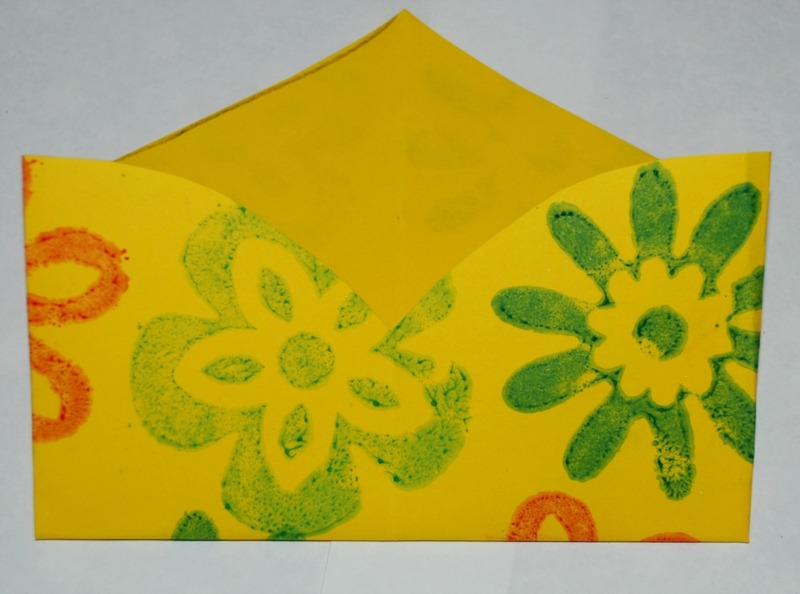 This entry was posted in Art and Craft Ideas and tagged Baker Ross stamps, children's craft, home ed, Home-made envelopes, homeschooling, stamp craft. Bookmark the permalink. 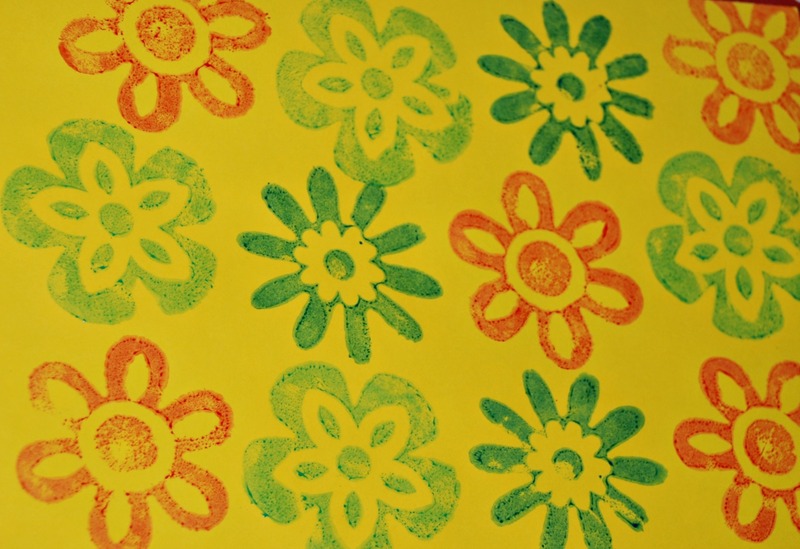 The cousins will love them….and they are a lovely idea to keep in stock for future use. What a wonderful idea! The packaging is just as fun as the letter inside. Lucky cousins! Love the mother’s day idea.